Shoreline artist Constance Perenyi was delighted to hear that her paper collage crow, "Giselle", was accepted into the Pacific Northwest Quilt and Fiber Arts Museum's show Birds of a Fiber. The museum is in La Conner, Washington in the Skagit Valley, home to thousands of migrating birds. The show, which ran January 23 to March 3, 2019, is timed to coincide with the huge flocks of birds which return to the Skagit Valley every spring. 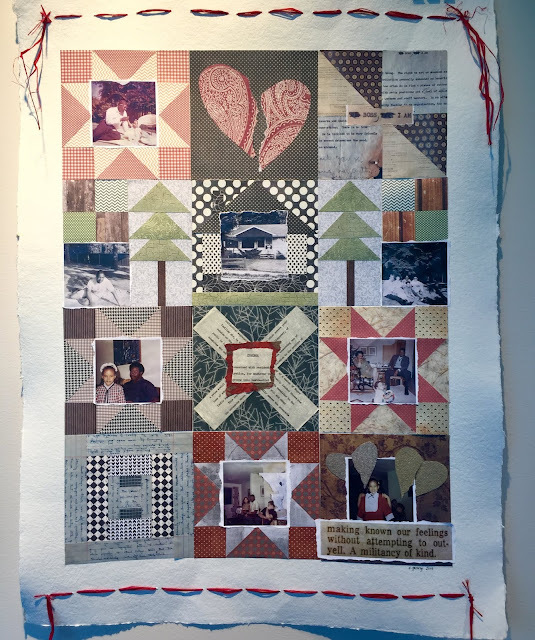 "I've long imagined getting a piece into the Pacific Northwest Quilt and Fiber Arts Museum. 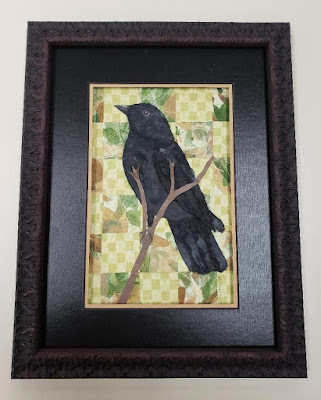 "Imagine my delight when this crow was accepted into their Birds of a Fiber show, in the main gallery. "The piece portrays "Giselle", a lovely bird who shared our garden for many seasons." “Living Between the Lines,” 2019, paper collage using source material from the Edwin Pratt Archives in the Black Heritage Society of Washington’s collection. 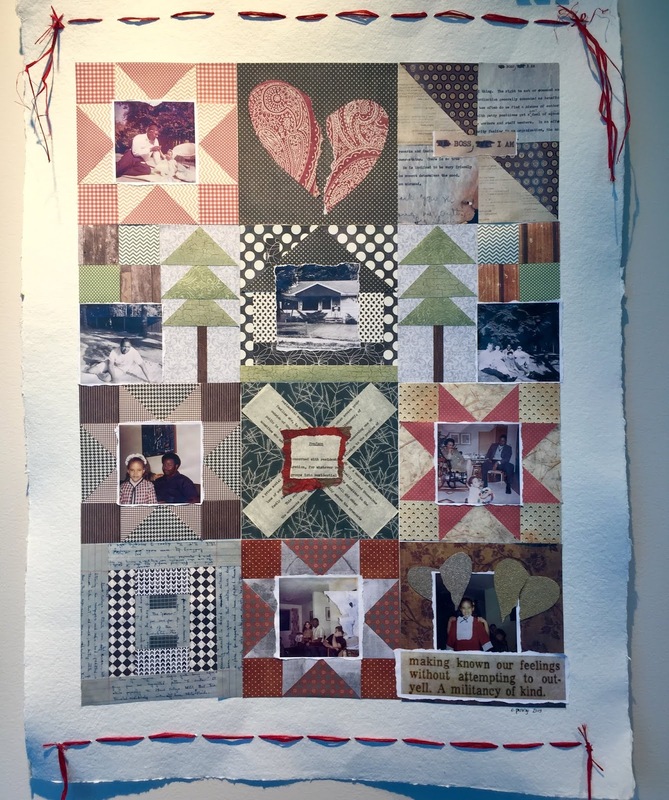 The show, “Living the Dream, Dreaming the Life: Artists Respond to the Edwin Pratt Archives” is on view Monday to Friday, 9am - 5pm, until April 26, 2019 on the 3rd floor of Shoreline City Hall, 17500 Midvale Ave N, 98133.